Fans are now going wild as "Kingsman: The Golden Circle" is finally done with all their filming needs as the Kingsman 2 release date is now set for June 16, 2017. 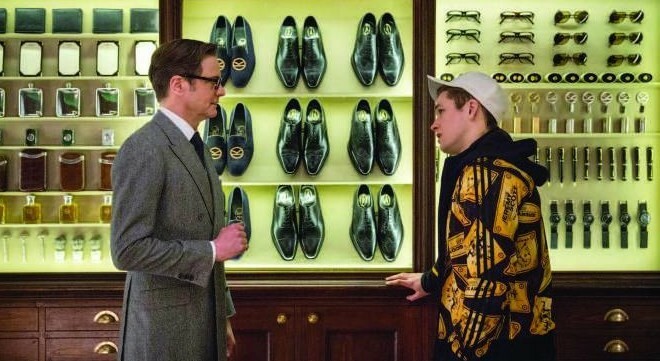 Provided that there would be no delays, Kingsman 2 would be another big hit in 2017. Actor Taron Egerton will be reprising his role as "Eggsy" who is an abused teenager turned into one of the finest British spies under the Kingsman secret service. The interesting part is the Kingsman: The Golden Circle teasers which show a quote possibly coming from Colin Firth's character Harry Hart, saying that the reports of his death were exaggerated. Egerton has already confirmed that Firth will return but did not reveal as to the extent of his involvement in the film, Asiastarz has learned. In the first film, Hart was shot to the head by Samuel L. Jackson's Valentine character after a gory yet awesome fight scene inside the church. There was no doubt that he is dead as he did not return to help Eggsy save the world in the last parts of the movie. People are now guessing how Hart will return in the movie but skeptics just believe that he would only appear in flashbacks. There are other reasons why people are excited about Kingsman 2. "Magic Mike" and "21 Jumpstreet" actor Channing Tatum is also joining the Kingsman: The Golden Circle cast but with a mysterious role, The Bit Bag reported. There are even some reports claiming that he would just be playing as himself although the recent leaked set photos show him donning a suit and a top hat. Halle Berry is also joining the Kingsman 2 cast as an agent from the "Statemen" which is the American version of the Kingsman. Julianne Moore will also join the cast as a villain named Poppy although details are still vague as to how she would fit in as the antagonist in the film. Kingsman 2 The Golden Circle is expected to show in theatres starting on June 16, 2017 provided that there would be no delays. No trails have been released yet but fans should expect actual teasers by the end of the year. ‘The Mummy’ Reboot news, update: ‘The Mummy’ Reboot release date, plot revealed; Russell Crowe makes appearance as Dr. Jekyll?